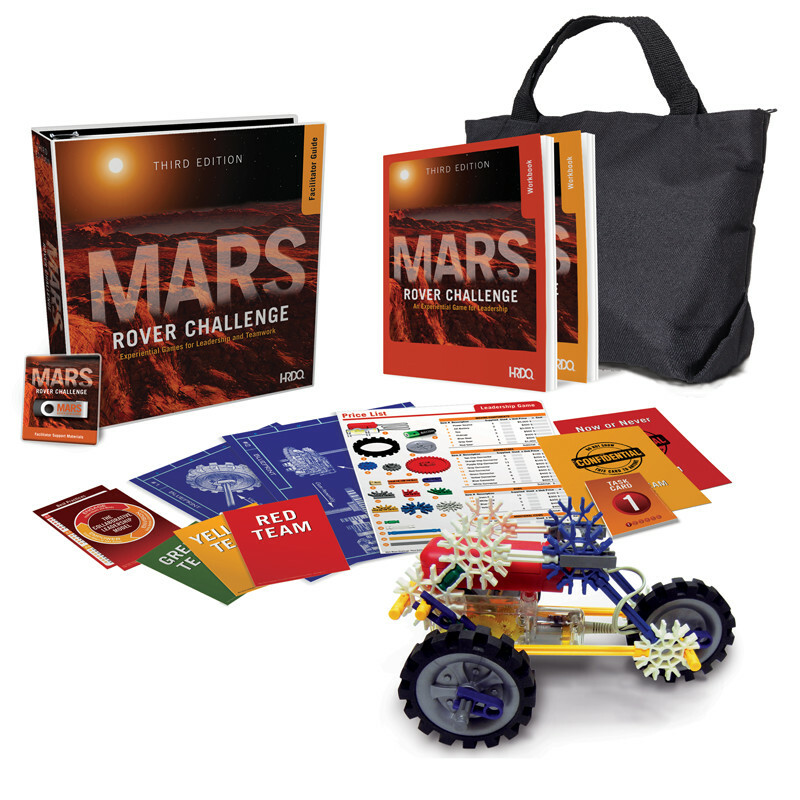 Mars Rover Challenge (formerly Mars Surface Rover) provides a powerful, unique hands-on experience that allows participants to connect with the concept of collaboration at a deep and personal level. Participants are immersed in a team construction activity, whereby they are tasked by the World Space Agency to build a prototype rover for traversing Mars’ rocky terrain. 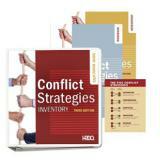 Two versions of the game are included -- the Leadership module and the Team module -- and BOTH are included in this deluxe kit, part of the HRDQ game series. The differences lie only in the lens through which collaboration is viewed—either from the perspective of leadership or teamwork. While each game has been designed to function independently, using them in tandem presents a more thorough, holistic picture of collaboration and the positive effects it has on employee engagement and productivity. The Deluxe Game Kit brings you both versions of the game for a considerable saving on the individual price of either version ($699/ each). It includes all of the required components to facilitate both games, as well as an initial supply of workbooks for up to 36 participants—18 for the leader version and 18 for the team version. 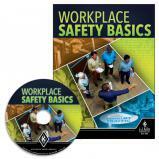 All components -- except for the participant workbooks -- are reusable, although additional workbooks can be individually purchased. The Teamwork version is designed to help individuals become more effective team members by allowing them to experience the differences between working collaboratively and working in "silos". The program is ideal for established teams who are looking to increase their productivity, efficiency, and innovation and who may need to break free from unhealthy work habits. It is equally well suited for new teams who are striving to integrate collaboration into their developing team dynamic. This version introduces basic concepts such as interdependence, common goals, and diversity with an unconventional simulation. How it Works: In the Teamwork version, the game is split into two rounds. In both rounds participants work in teams to construct a rover, but with varying approaches to work. In the first round, they simulate working in "silos" as they withhold information and complete their assigned tasks individually. In the second round, participants simulate working collaboratively as they communicate information and tasks openly and work together to design the rover they think has the best chance of completing its mission. The end result in each round usually is markedly different, and the process and outcomes make for lively discussion and usually quite a few "Ah-Ahs!" as they realize the effects the two different approaches to work have on morale, motivation, and performance. Learning Outcomes: Recognize the distinction between a team and a group, understand how teammates’ responsibilities are interdependent, and realize the importance of continual communication within the team. The Leadership version is designed to help individuals become more effective leaders by allowing them to experience the differences between three contrasting styles of leadership—traditional (command-and-control), passive, and collaborative. The program is ideal for new and seasoned leaders as it provides them with a hands-on way to explore the three styles in depth and assess their advantages/disadvantages. 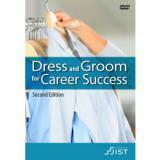 This version introduces basic concepts such as communication, influence, and change management. How it Works: In the Leadership version, participants work in teams to construct a rover, led by team member who (unknown to the rest of the team) adopts the traits of one of three contrasting leadership styles—traditional, passive, or collaborative. Each of the three styles engenders very different feelings and emotions among team members. And together, they provide a very real demonstration of the effects different styles can have on morale, motivation, and performance. Learning Outcomes: Experience the concept and benefits of facilitative leadership, learn how a facilitative leadership style generates a team atmosphere, discover the drawbacks of traditional (autocratic) or passive (uninvolved) styles of leadership, and recognize the balance between too much and too little authority. The Leadership Game Kit includes all of the required components to facilitate the game, as well as an initial supply of workbooks for up to 18 participants.